Every now and again in your career, you may deliver a perfect (or nearly perfect) interview performance, but things rarely work out this way. In all reality, you’re more likely to rate a 7 on the interviewer’s 10-point scale than you are to stick your landing flawlessly. In that situation, it means that you have done well, but the interviewer still has some lingering concerns that are holding them back from giving you their full approval. You may even find that the interviewer directly raises some objections to your application. Oddly enough, in the interviewer does confront you with their objections, you should count it as a blessing: it means the interviewer doesn’t see you as a lost cause, and that you have an opportunity to make a further case for yourself. 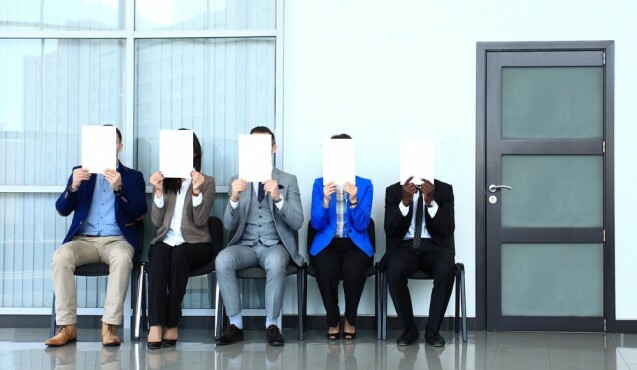 Despite the fact that job hopping and contingent work are the new normal for many, some employers still look unfavorably on applicants whose resumes are full of short tenures. To neutralize this particular objection, bring order to the chaos by showing the interviewer that your job hopping was all part of your career plan. Explain what your overall goal(s) were for the past few years. You might say you wanted to gain a lot of experience, or work in different environments, or build up a vast professional network, or learn to be adaptable, or find out what you liked, and so on, etc. Show the interviewer that you are not aimless, unstable, and unreliable, but that you have a clear career mission. Explain how the jobs that you have held over the past few years have enabled you to meet your goals. This will make you seem directed and focused. Also, explain to the interviewer any of the additional skills that you have learned from holding so many jobs. Examples may include adaptability, flexibility, and exposure to new business practices, among others. This objection can make candidates quake in their chairs — but it doesn’t have to be the end of the road. You can start to neutralize this objective by simply explaining any gaps in your resume. Perhaps you took a leave of absence from your career to care for a loved one, or had your own illness to attend to. If you took a sabbatical, you should explain what the reason for your sabbatical was and outline what you achieved during your time away from work. This will prevent the interviewer from attributing gaps in your resume to anything unsavory, and it will also show the interviewer that there was an important justification for any extended periods of unemployment in your history. If you were actively seeking work during any of these gaps, outline your job-seeking activity in a way that demonstrates your resolve, determination, ingenuity, and hard work. Don’t let the interviewer think of you as anything but conscientious. Also make sure to explain how you kept your skills up to date and whether or not you learned any new skills you developed while you were out of work. Career gaps may seem daunting, but they can be explained in a way that preserves — or even enhances — your reputation. Interviewers usually want to hear one of two responses to this objection. First, they want you to justify your valuation. You can do this by explaining how your specific skills, achievements, and experiences contribute to your monetary worth. The more data you can offer to back up your salary expectations, the better. If you convince the interviewer of your financial worth, you may have overcome the objection. The problem, is you can’t be sure that you have. To be safe, you may also want to make it clear that you are open to negotiation, which is the second response that employers want to hear when they raise this objection. By proving your worth and demonstrating your willingness to negotiate, you should be able to quell your interviewer’s concerns about your salary expectations. Want more tips on how to neutralize an interviewer’s objections to your candidacy? Read part 2!